Putting something "in the spotlight" was never so easy as with our lighting elements. 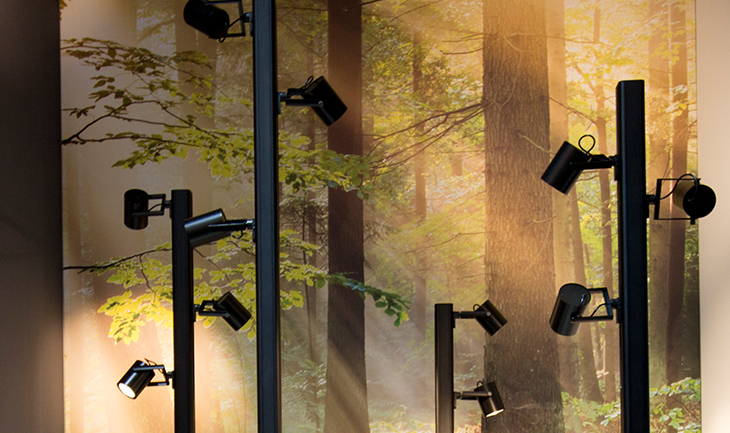 Discover our award winning Puck and our brand new addition to the lighting family, the Forester. Those looking for a more traditional stem light will find an answer in our LED Display Spot.